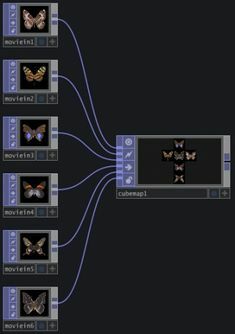 Mode mode - ⊞ - Determine how the cube map is created from the input images. One Input Per Side to Cube Map onepersidetocubemap - Use all 6 inputs on the TOP to assign an image to each face of the cube map. 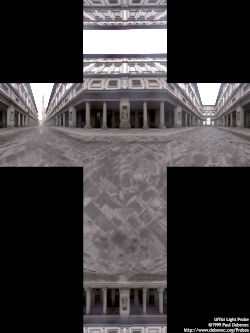 The inputs are ordered: Positive X, Negative X, Positive Y, Negative Y, Positive Z, Negative Z.
Vertical Cross to Cube Map verticalcrosstocubemap - Use an input texture in the vertical cross cube format. For some vertical cross examples, see Paul Debevec's site.